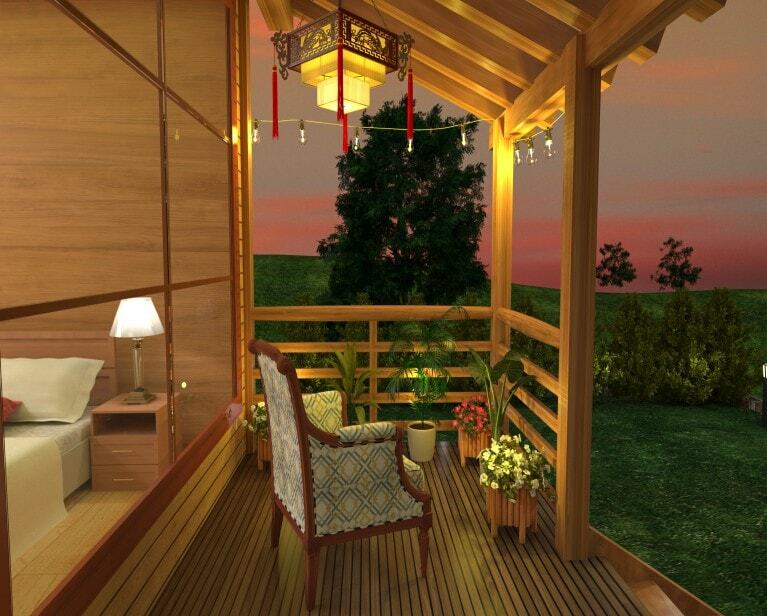 This wooden vacation home in mukteshwar, Nainital will be constructed in the plot area of 104 SqYd, super area 840 SqFt, built-up area 607 SqFT, and carpet area will be around 485 SqFt. It is located inside a gated community, which is surrounded by dense greenery. 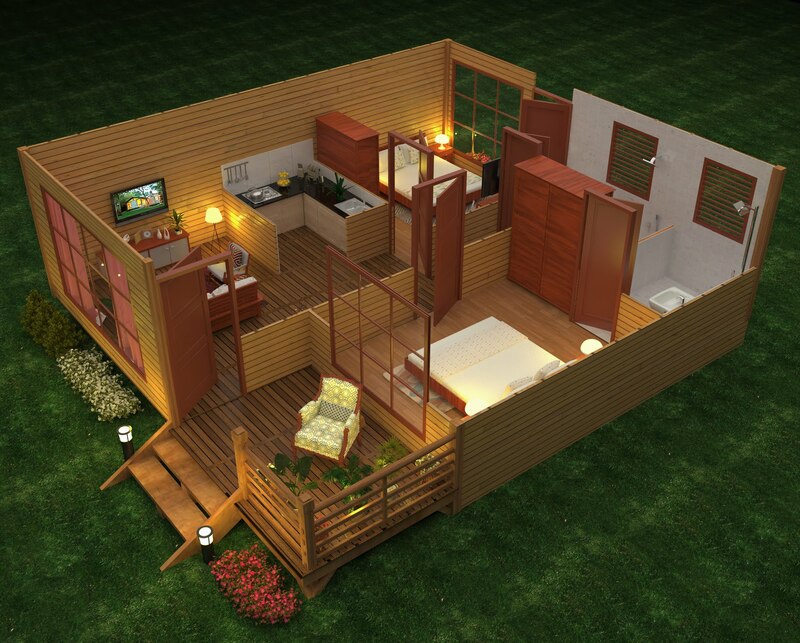 The wooden luxury wooden holiday home will be made from Canadian wood. 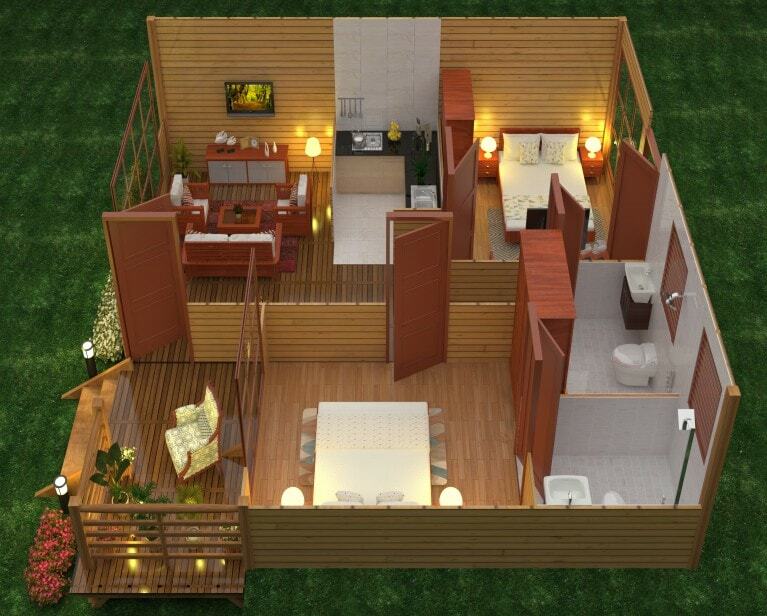 There are 2 bedrooms with one attached bathroom and one common bathroom in the cottage. 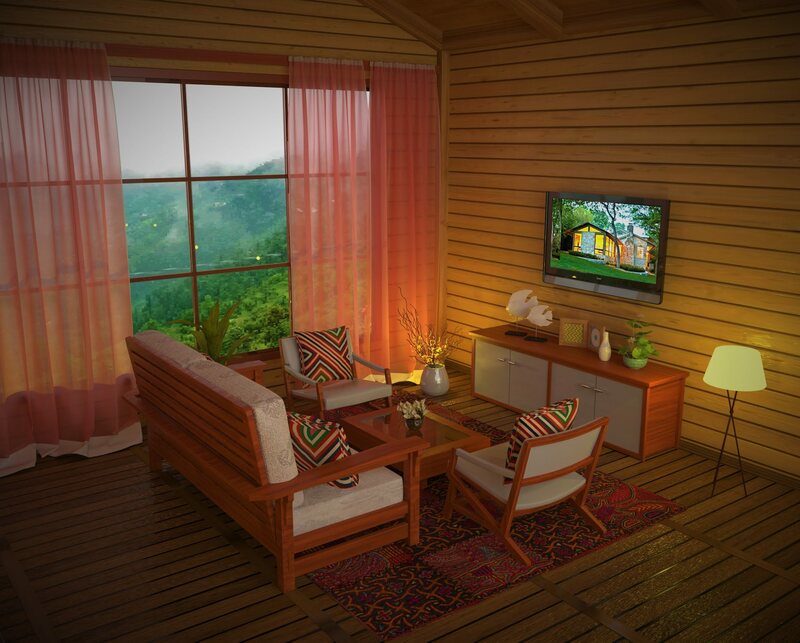 The cottage will also feature a functional kitchenette, a living room, and verandah. It will have two open-sided from front and back side. You can easily get the snowcapped panoramic Himalayan view from the wooden cottage in Nainital. From the month of December, Snowfall starts here. 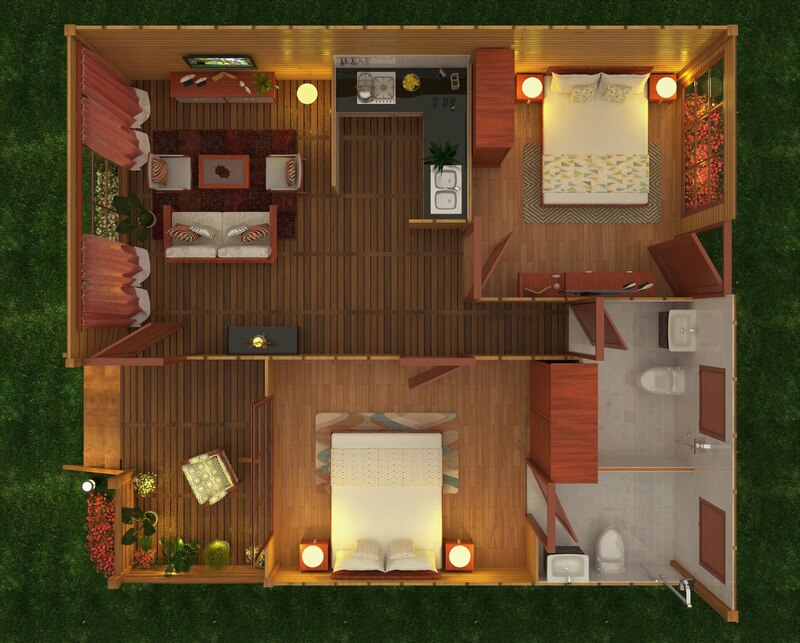 Property is located near Dhanachuli Bend, Mukteshwar, Nainital. Parking will be open at our society. It's a semi-furnished unit. Wood life of the property will be 50 years. And, common areas are garden and gazebo.